"We think it’s amazing and great fun! We love the staff and helpers. We’ve made new friends, also we love the hard work doing lots of different strokes and lengths." Paddles Swimming Development Gala – Saturday 25th November 2017 – Read More. A swim session designed for swimmers with a disability. How can I attend Paddles? Does Paddles follow a swim scheme? We follow the ASA governing body swim scheme and awards structure. We have 4 qualified teachers and volunteers. 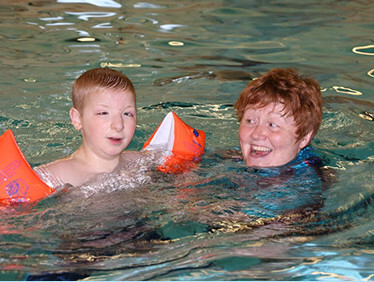 All the staff have experience of working with children with a disability in the aquatic environment. Do I need to bring swim aids? We have the entire swim aids needed and will provide the most suitable aid needed for the swimmer. Paddles swim school follows the school term which works out at £5 per 45 minute lesson paid in a block at the beginning of each term. When and where are the sessions help? There are 2 sessions depending on what standard of swimmer you are. 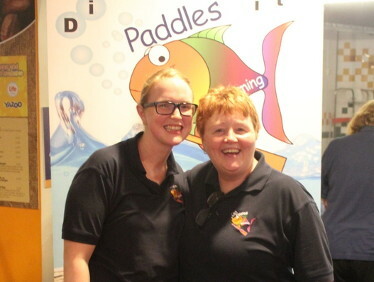 Paddles Swim School has a vast bank of knowledge and experience in working with children with a disability in the aquatic environment from a swimming tutor who has written books on working with the disabled swimmer, to teachers working at special schools in Staffordshire. The quality of teaching and coaching at Paddles is second to none, and fundamentally the children have FUN.